The prints that are the most popular this coming season, are the prints that has been part of fashion for many decades! Every girl needs a striped swimsuit in their beach bag this summer and the best tip I could give from a stylist point of view is to go for vertical stripes if you would like to appear taller and slimmer and for our very skinny ladies, you can go for horizontal stripes. If you are not the "striped" kind of girl but you want to wear the trend, make it part of your accessories with bags, sunglasses and shoes! 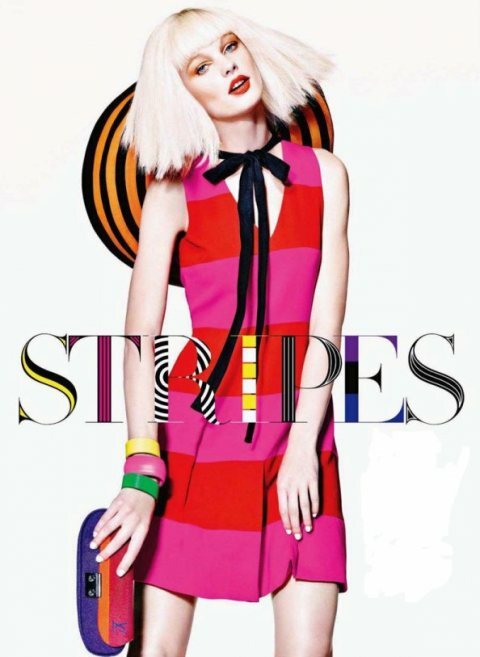 No comments yet on Strut it in Stripes! .